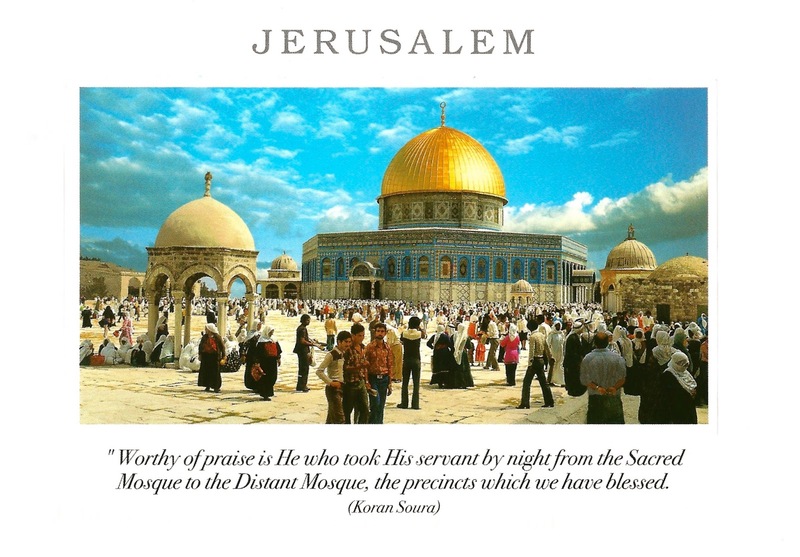 The Dome of the Rock has been called "Jerusalem's most recognizable landmark". The site's significance stems from religious traditions regarding the rock, known as the Foundation Stone, at its heart, which bears great significance for Jews and Muslims. The Dome of the Rock is situated in the center of the Temple Mount, the site where the Jewish First Temple and Second Temple had stood. During the Byzantine era, Jerusalem was primarily Christian, and pilgrims came by the tens of thousands to experience the first church of Christianity and places where Jesus walked.